James Charles Marshall, OBE (1923 – 2012) was born in Acton, West London, England. By the age of 14, he had given up on formal education. Instead, Marshall became an established drummer and teacher of drumming. In 1960, Marshall opened a music store in Hanwell, west London, selling drums and then branching out into guitars. Among his many guitar playing customers were Ritchie Blackmore, Big Jim Sullivan and Pete Townshend. 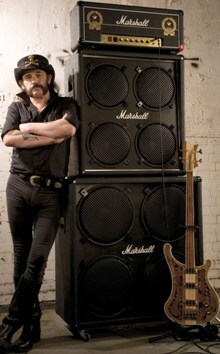 But they were all frustrated at the poor quality of guitar amplification available at the time, mainly Fender from USA. 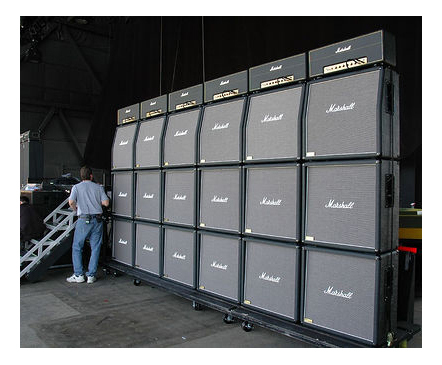 They wanted something "bigger and louder", and Jim Marshall saw an opportunity. 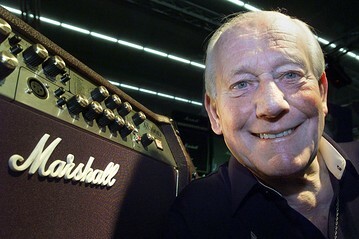 He took on 18-year-old electronics apprentice, Dudley Craven, resulting in the foundation of Marshall Amplification. After many prototypes the classic JTM 45 amp was released. Soon musicians including Jimi Hendrix, Eric Clapton and Jimmy Page were using his equipment. These amps were powered by Vacuum tubes and produced a tone that musicians still favour today. So the Marshall production facility, sited in Bletchley, England, still uses "valves". In 1985, Marshall was invited to add his hand prints to the Rock Hall of Fame in Hollywood alongside the instrument pioneers Leo Fender, Robert Moog, Les Paul and Bill Ludwig. He was appointed OBE for his services to music and charity in 2003.